Before you even think of sending in your contact information to an online investment site, you owe it to yourself to read this real life story. 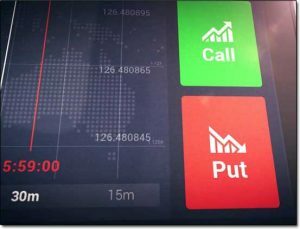 If you are unfamiliar with the plague of binary options scams or have ever doubted the ruthlessness of online scammers in general, you also owe it to yourself to read this story. The story comes from a company named MyChargeBack, which is an international fund recovery firm. I was recently speaking with them about the work they have been doing to help people to get their money back from binary options scams & the story they told me about one particular case was just shocking. No doubt I’m sure there are sadly several more, but I want to share this particular one with you today to urge you to think twice before getting involved with such seemingly lucrative investment offers. The shocking case involves a woman who had invested her entire life savings in an online binary options site. Attracted by its promise to make her rich overnight, she signed up and promptly transferred over $20,000 to the brokerage using her credit cards and significantly more by sending wire transfers. What she didn’t know at the time was that the trading platform featured on the site was a fraud. It wasn’t actually plugged in to any market. The trades she was making were all make believe & essentially it was all just a video game. So when it came time for her to withdraw her imaginary winnings (which she assumed were real – as you would), her account was simultaneously emptied by the very people to whom she entrusted with her money and she was left with nothing. So this lady after going through months of struggle, frustration & distress finally came across MyChargeBack – which as I touched on above is a company that offers scam victims assistance in reclaiming their funds. The team at MCB have taken on the case & thankfully they believe they firm chance of helping her reclaim her funds – something they have proved to be very successful in doing. But there is still more to the story, and although now she is undoubtedly in good hands sadly the lady’s journey wasn’t quite all plain sailing. Her bank actually initially refused to open a dispute & therefore from the off she thought the funds were gone for good. You can likely imagine how she was feeling, especially as a single mum with children to care for. For those who may be unfamiliar with the process, charge card payments may be retroactively cancelled by filing for what is known as a chargeback. A chargeback is a right provided to cardholders under well-defined circumstances by the charge card companies themselves. A request for one is filed with the bank that issued the credit card. Wire transfers, of course, are not subject to any of the rules and regulations of the charge card companies. They have to be contested using a different procedure, which is lengthier than the two-to-four months that’s generally required for a chargeback. Being a single mother of three children on a tight budget, the client was naturally anxious to see her money returned as soon as possible and, therefore, was looking for a quick resolution of the first of her four chargeback requests. Complicating the matter however, is that in her country, the banks do not raise disputes with merchants, which is the necessary next stage in the chargeback process following receipt of the request. Instead, in the particular country she resided, the request is forwarded by the bank to a large multinational payment processor, which decides for itself whether or not the request is justified enough to raise a dispute. Unfortunately, the payment processor declined to open a dispute, even though the woman’s case was airtight and fully consistent with credit card rules and regulations. The bank — which has a well-earned reputation for not being receptive to its clients — refused to intercede on her behalf. As a result, MyChargeBack decided to escalate the matter by appealing the case to the country’s financial ombudsman. That takes added time, of course. When MyChargeBack’s recovery team called the woman to inform her of our strategy, she told them that she would be temporarily unavailable because she had to sell her home to cover her mounting debts and was now in the process of moving out. The scammers had literally taken everything from her, even to the point where she would no longer have a phone number of her own until further notice. This, again, was one chargeback out of four. The other three are for transactions made with credit cards issued by two other banks. But those chargeback requests will also be forwarded to the same unreceptive payment processor. It is not clear yet if the other two banks will be more cooperative than the first and intervene by actively supporting their customer’s case. And based on their track record I have absolute faith that they will indeed prove successful in the case, but taking a look into a case like this & hearing about the shocking aftermath these victims face from such scams truly is a real eye-opener. Within the space of a few months what seemed like a potentially lucrative opportunity for her has turned her life completely upside down – and I am sure the people behind the scams (who are almost impossible to trace) likely show no remorse at their end. They probably are not even aware of the actual impact they are having on these real people’s lives… To them, it’s just numbers – a bank balance… They are likely only concerned about their own gain & likely not of the loss of others. I work hard exposing scams here on my blog & the reason I do that is because I do understand the impact these scams have on peoples lives – and even if I can just help 1 person avoid them, in my opinion it is better than doing nothing at all. I would much rather see the people who truly need the money keep hold of it than see them lose it to somebody who is just driven by greed… So it comes without saying that I am greatly in favour of the work that companies like MyChargeBack are doing to help reconnect people with their money. And don’t be fooled into thinking people have to be tricked into losing $20,000+ to have their lives turned upside down like the lady in this particular case. To some people who have already found themselves on the breadline even as much as $50, $100 or $200 can be a massive deal to them so scams big & small can equally have just as powerful an impact. But hopefully after reading this story you will be aware when you look into opportunities online, and you should know that if something does seem too good to be true then the likelihood is that it probably is… And the bottom line is that if you are unsure, do your due diligence. Could You Live Off 1 Million Pounds? My Trip To Las Vegas And Los Angeles! How Do You Afford A Range Rover?